MARTHA MOMENTS: Spring Weddings: All About Colour! Spring Weddings: All About Colour! I don't buy Martha Stewart Weddings regularly, but when I do, it's for all the right reasons: flowers, favours, stationery and a million excellent ways to throw a party, whether a wedding takes place or not. 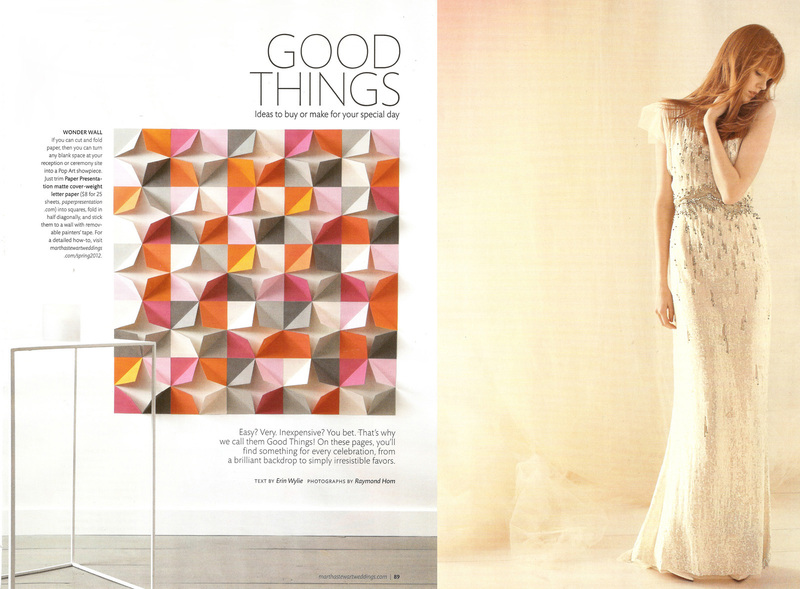 The Spring 2012 issue of Weddings is a charmer. Its focus is on colour: playing with it in unexpected and unusual ways to create an occasion that is lighthearted and bursting with brightness! Pick up your copy and prepare to be dazzled! 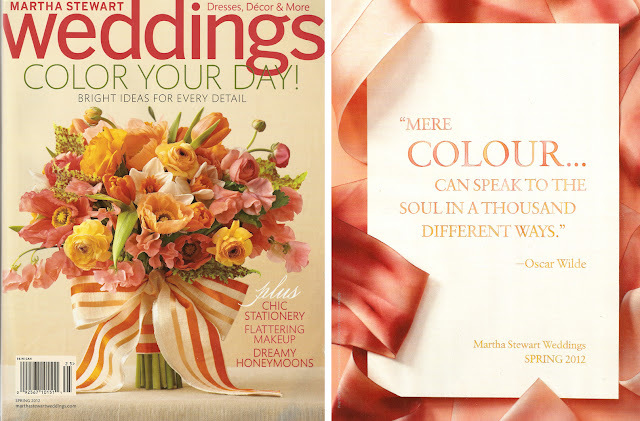 The introduction to the well of the magazine is an inspirational quote by Oscar Wilde: "Mere colour...can speak to the soul in a thousand different ways." How true that is. A bride wears a dress by Anne Barge with a bouquet of lady slippers, ranunculus and roses in a warm palette, dressed with a pleated striped ribbon. 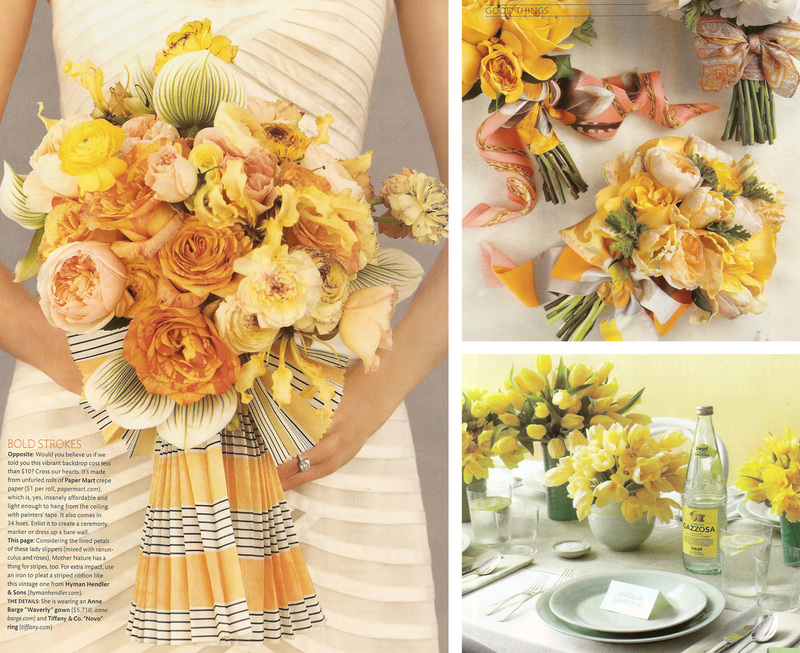 Top right: a series of bouquets to give to the bridesmaids tied with silk scarves. 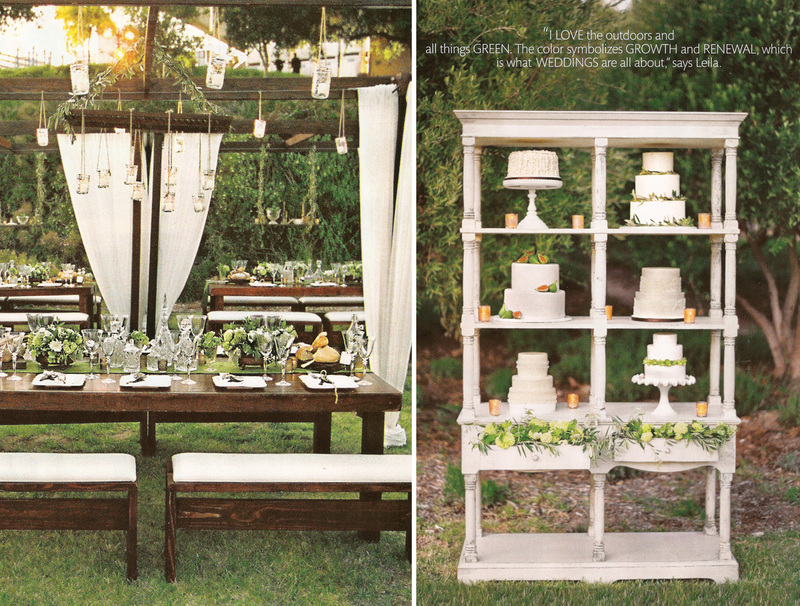 Bottom right: lemons and limes were the inspiration for the palette of this table setting. A Dutch still-life painting was the inspiration for the country tablescape on the left. 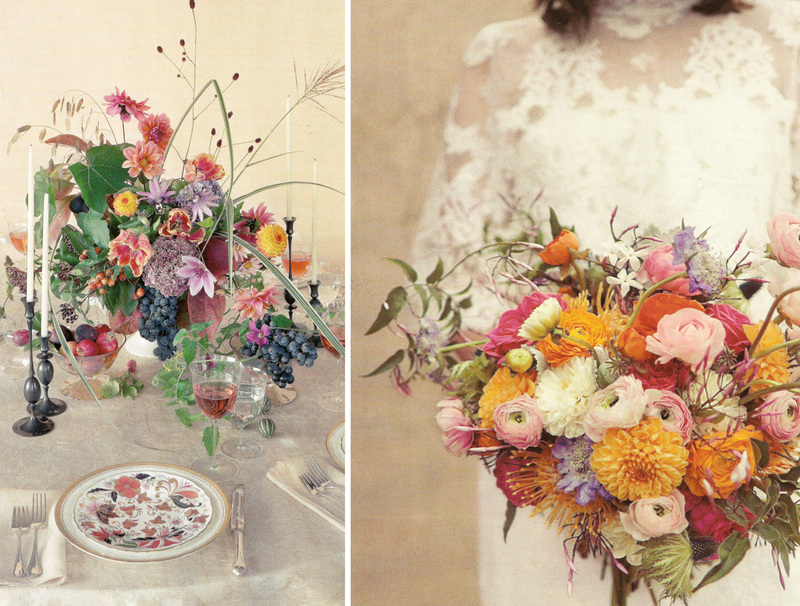 Right: a bouquet of dahlias, scabiosa, ranunculus, roses and protea looks freshly gathered. Create modern art in the reception hall with a mosaic of pleated paper. On the right, a stunning dress by Jenny Packham. Stationery is one of my favourite things in life. Thankfully, the editors have compiled an A - Z resource list of where to find the best of the best. The wedding of Leila Khalil and Tony Lewis in a verdant California vineyard is truly inspirational. I love the restrained palette of brown and white, which is beautifully offset by the natural greenery surrounding the setting. An open hutch is an ingenious and unexpected way of displaying a variety of smaller cakes for the guests. These labels for cocktail syrups make it easy for guests to help themselves on a table laid with glasses and crushed ice. Peach Daiquiri, Margararita, Cosmo and Mojito are on order here. You can find the recipes in the magazine or online. 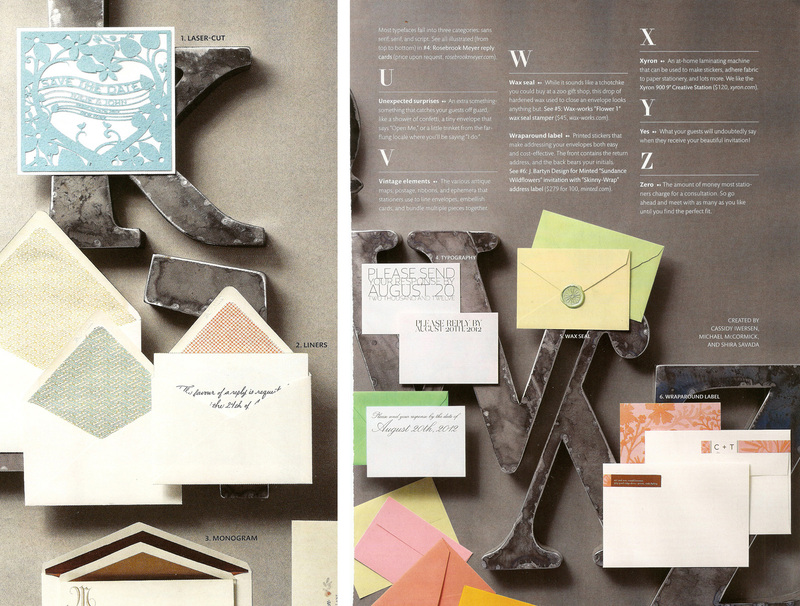 Click here to download the clipart and peruse more from this issue.